Great corner lot, MOVE IN READY, opportunity. Lovely remodeled home, in Norther Highland Park. Refinished wood floors, spectacular tile work in the bathroom, updated kitchen with new appliances, gas heat and cooking. wonderful sized fenced in lot, with screened in side porch. UNDER 100K. Home Sold As Is. 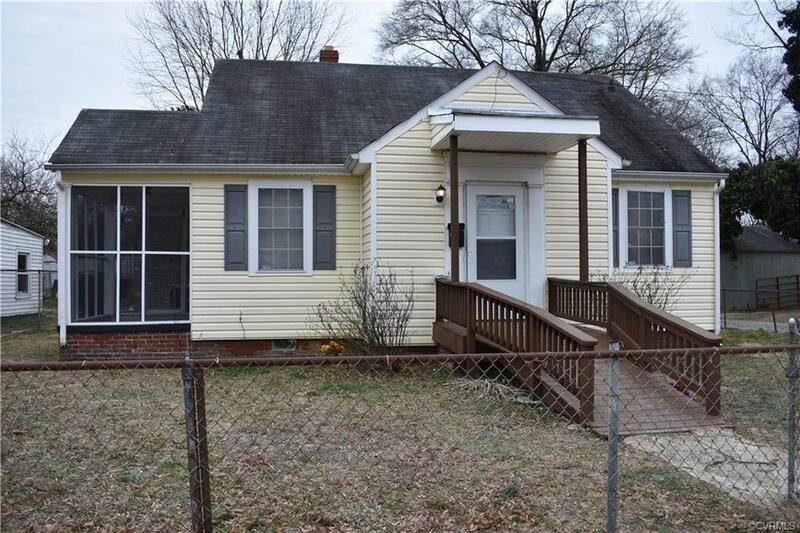 Seller is a licensed Real Estate Broker in The Commonwealth of Va. Directions: Follow Meadowbridge Road To Pensacola. Turn East On Pensacola, Home Is First House On The Right.